This year, Ecuador is hosting global observance of the World Day to Combat Desertification. 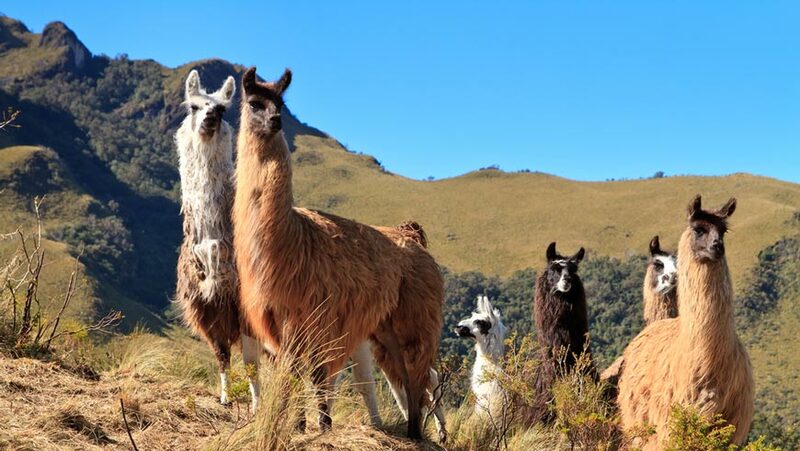 Ecuador is one of several South American countries that is home to the unique Northern Andean Paramo global ecoregion, an area rich with biodiversity that is threatened by land degradation in the form of deforestation and overgrazing. Land degradation impacts the lives of more than 3 billion people. That’s two out of every five people on Earth, and the problem is getting worse. By 2050, up to 143 million people could be forced to move due to the grinding effects of climate change on once-productive land, particularly the lack of water and failing crops. The Global Environment Facility (GEF) is the financial mechanism of the UNCCD and is supporting countries in their implementation of the Convention by facilitating coordinated investments in sustainable land management to achieve what has become known as “Land Degradation Neutrality” or LDN. LDN creates a measurable target for sustainable land management, promoting a dual approach of measures to avoid or reduce degradation of land combined with measures to reverse past degradation. The minimum objective is to balance losses with gains to achieve a position of no net loss of healthy and productive land. Countries with a high percentage of arid, semi-arid, and sub-humid drylands often face high levels of poverty as well, so there is a crucial need to integrate LDN priorities with food and water security, poverty reduction, income generation, and livelihood security. The potential opportunities for helping dryland countries advance LDN will be the focus of a high-level round table discussion at the Sixth GEF Assembly on June 28, 2018 in Da Nang, Viet Nam. The GEF has the goal to avoid, reduce, and reverse further degradation, desertification, and deforestation of land and ecosystems in drylands, and sustainable drylands will be an important part of its work during the next investment cycle known as GEF-7 (July 2018 – June 2022). GEF and its partners will promote the sustainable management of production landscapes, addressing the complex nexus of local livelihoods, land degradation, climate change, and environmental security. Private sector involvement and access to finance is important to link smallholder producers and pastoralists to markets, introduce sustainable supply chains, and create stable revenues with such dryland commodities as cotton, wool, leather, fuelwood, and charcoal. This type of investment projects will also be funded by the Land Degradation Neutrality Fund (LDN fund), which was launched on 12 September 2017 at the 13th Conference of the Parties to the UNCCD in Ordos, China. The LDN Fund is a first-of-its-kind investment vehicle leveraging public money to raise private capital for sustainable land management and landscape restoration activities worldwide. Drylands are a vital part of the Earth’s human and physical environments, encompassing grasslands, agricultural lands, and dry forests and shrublands. Drylands cover approximately 40% of the world’s land area and support two billion people, 90% of whom live in developing countries, where women and children are most vulnerable to the impacts of land degradation and drought. According to the UN’s Global Land Outlook, 45% of the food consumed globally comes from the world’s dryland areas.